Cats are said to be independent and cunning. No matter how much you love them, you have to admit that they’re NOT always nice. 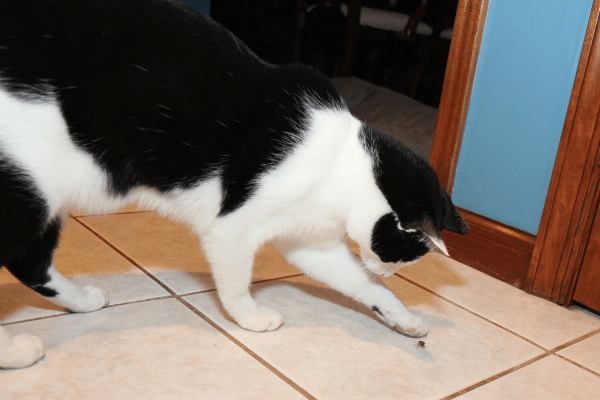 Throughout a cat’s life, it can pick up a few frustrating habits— like that annoying one, where it knocks cups, pens, dishes (and whatever else it can get its paws on) off every surface in sight. Now, if your cat does not do this, then I applaud you. But by all accounts, it seems to be a pretty common hobby. 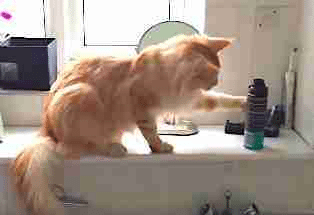 This penchant for destruction can be aggravating for cat owners. But how many of us have actually questioned why this goes down? When you scour the web, the feline tendency to “tip and destroy” has a few different explanations. 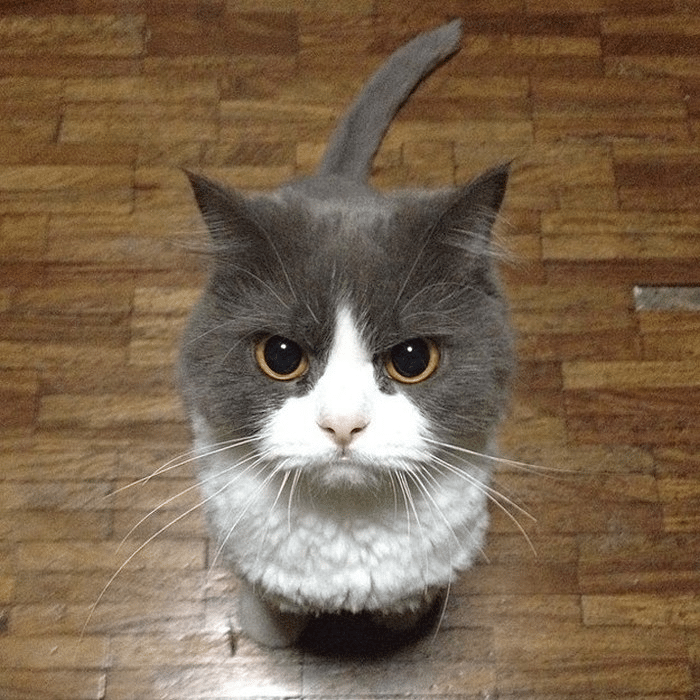 The first explanation is that your kitty is scolding you for not giving it 100% of your undivided attention. 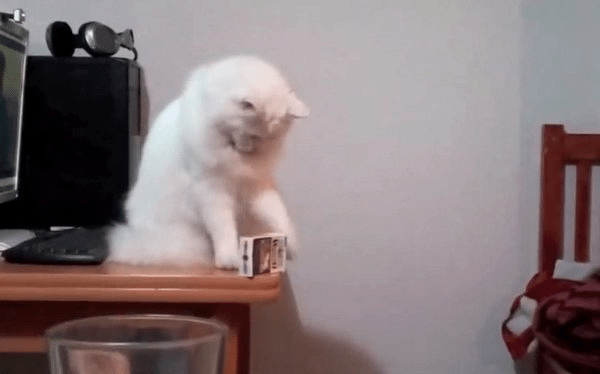 Basically, your cat quickly learns that when he knocks something over, you come running. So, the next time he wants your attention, why wouldn’t he do the exact same thing? It’s a pretty solid explanation, I must admit. But it likely goes much deeper than that. Other cat experts say that when your kitty knocks things over, he’s actually just practicing his hunting skills. 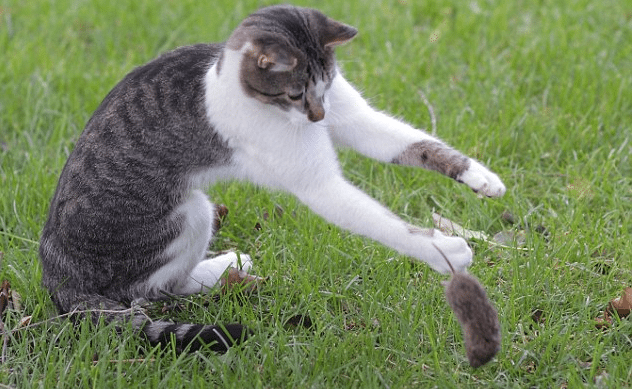 “‘Toying’ with prey is a common behavior in feline hunters,” Dr. H. Ellen Whiteley explains. Cats are often called ‘cruel’ or ‘sadistic’ by those who don’t understand their motives. Cats’ claws aren’t efficient when it comes to killing its prey— and biting is risky; the prey may fight back and the kitty could get hurt. Instead of biting, the cat opts for endurance. Because animals often “play dead” when threatened, the feline hunter may even look away when the prey stops moving. If, when unobserved, the animal still doesn’t budge, the smart cat will give it a few bats, just to be sure it truly won’t escape. 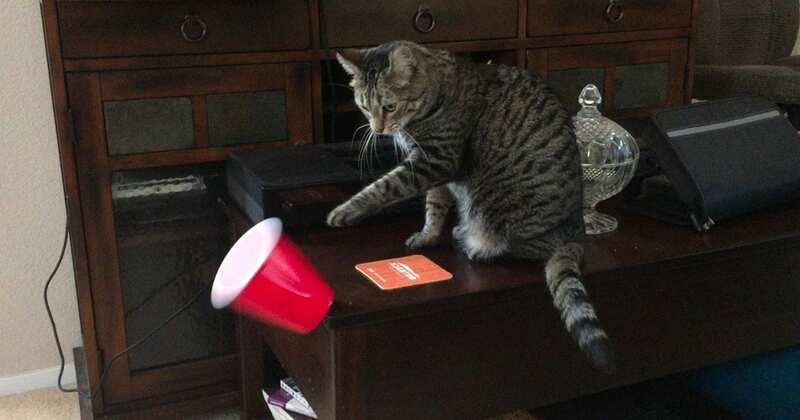 In all probability, the real reason why cats love knocking things over is likely a bit of both. In the beginning, your cat may just be curious about the object or checking its “prey”. Once he realizes the behaviour gets your attention though, he becomes increasingly less likely to stop. Listen to Dr. Kurt Verkest explain it below!